After finishing Bring Me Back I am frustrated and swore way too much at the ending of this book. The problem begins immediately and doesn't really get any better the more you read. 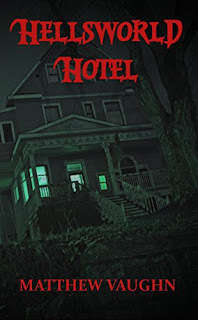 There's potential here, a lot of ways to make this novel great, but instead, it plays it safe which is fine if you've never read a suspense thriller before. It's a decent enough read to get you interested in the genre, but for the seasoned fans, there's not a lot here that's new or exciting. Paris is a decent writer, but the plot twists become glaringly obvious and the characters are lifeless cutouts that you merely read about, yet have no interest in. While the premise is intriguing, it just doesn't hold up. I get that while you're reading a book, or watching a movie things happen that could never happen in the real world, but the subject matter has to hold your interest to make you forget about the rules and regulations of reality. If anything, by playing it safe and mirroring whatever the current trends in fiction are, it does more harm than good. This seemed like a promising book, and Paris is a talented writer that gives us to glimpses of Finn, and Layla. Problem is, the more we get to know Finn, the less we like him, and Layla has been gone twelve years, the mystery is there, and I wanted to care, but I couldn't. You see the plot twists coming a mile away, and the book struggles under the weight of how good it could be, but just isn't. Not much here is done right which is unfortunate given the talent of the writer. 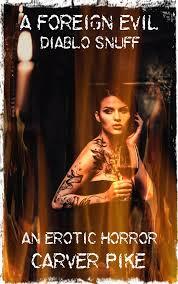 She plots the story well, and if she hadn't played it safe, this could have been one hell of a book. There's a lot here that if done differently, could have blown readers away. 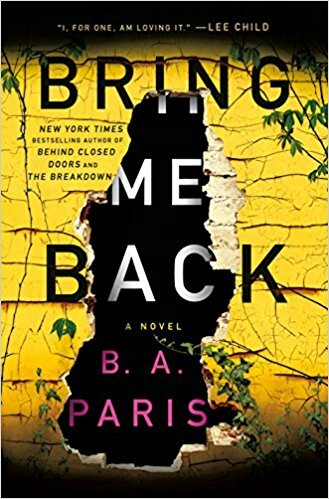 As it is, you could easily borrow this from the library and read it on a vacation because the truth is, Bring Me Back is easily forgettable and boring. I really hate giving bad reviews, but this one really deserves it because it really wants to be a hit, but ends up missing.